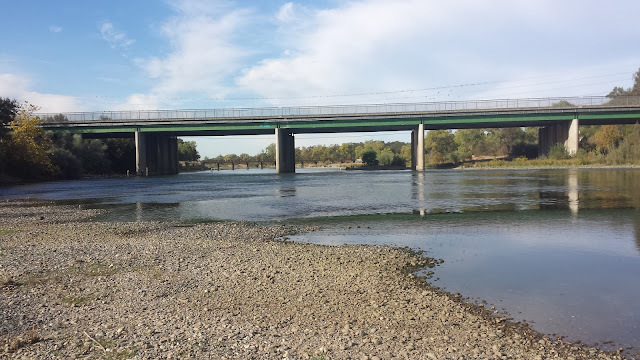 The Lower American River is one of the shortest main tributaries of the Sacramento River from it's mouth to Folsom Dam. I've always looked at the American River with a bit of skepticism since the Sacramento area isn't quite the ideal fly fishing destination. What the American lacks in scenery, it makes up for in fish density. 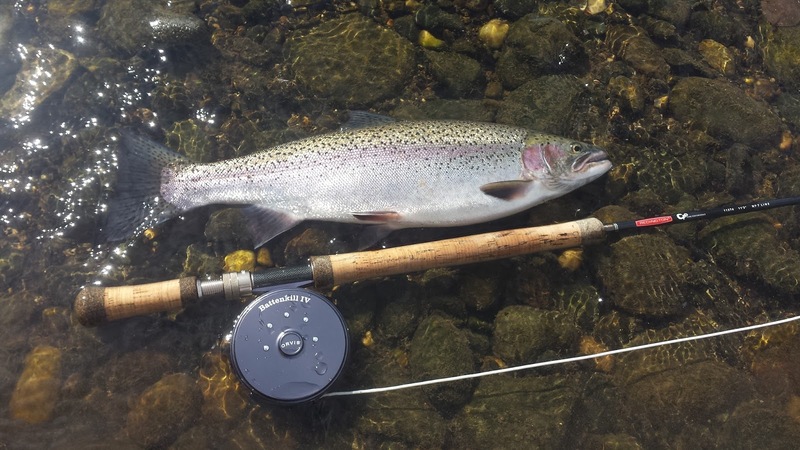 The American boasts runs of anadromous fish such as American shad, striped bass, salmon, steelhead, and the famous Eel/Mad-River strain steelhead. 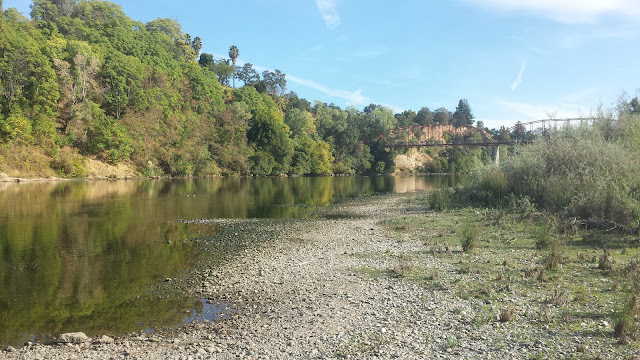 This was my first time wetting my line on the American River and I was ready to explore and find out what makes this river so special. The American is about an hour away from Yuba City which isn't too bad although the traffic getting there is a bit of a pain to deal with. I explored the both the upper and lower Sunrise Park section of the river which I had visited but never fished. Be sure to bring $5 for parking. The swing is the suppose to be the thing on the American and I stuck to that method all day. One great thing that I liked about the American is that it was no-nonsense fly fishing. 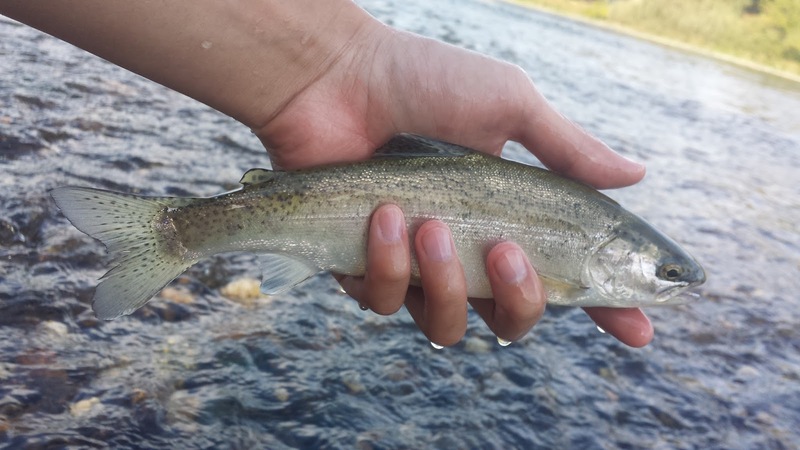 The river isn't as complicated to fish as other rivers like the Yuba or the Truckee where matching the hatch is absolutely critical. I was surprised to find so many caddis and BWOs coming off while I was there, the American is truly rich in bug life. The fishing pressure was on the lower side which was great; I had a lot of good riffles to myself as most fisherman were concentrated on the deeper pools for salmon. I stuck to my sculpin pattern both as a test and in confidence. My first American River trout came on about ten minutes after swinging around my first riffle. Not a big one but by the looks of everyone around me it was the first fish they've seen all day. A few hours went by and I finally got my big take a few riffles down. The heart stopping grab definitely had that steelhead weight. This steelie wasn't a runner or a jumper but it was great to feel that steelhead tug and fat. I tried a couple more runs and riffles but didn't have any luck. I ended the day at around 3pm since I didn't want to get caught in traffic going home. Fly fishing the American River was fun. I had a great time exploring new waters and swinging my flies through the riffles and runs that I had read so much about. I plan on returning to the American to swing through and explore the other numerous accesses and parks I've yet to see. Nice fish Matt. Were you out on the weekend or weekday? - Just wondering about the crowds. You've got me inspired to maybe see if I can take a day off mid-week and go fishing as Sac is pretty close. I went on a Monday. A lot of anglers were focusing on the salmon so a lot of the good riffles were free to fish. Didn't see many fish caught but reports are saying that they are there.